At VAC-TEC LLC, we are proud to serve all of the residential septic tank pumping needs of homeowners in Tacoma, WA and the surrounding areas. 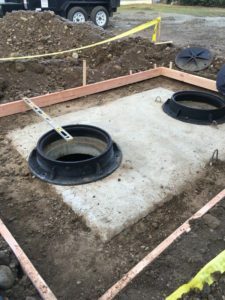 We have the know-how and equipment to perform residential septic tank pumping, and we will be there at a moment’s notice with our emergency residential septic tank pumping services for Tacoma homeowners. Are you thinking, “How often should I pump my septic tank?” Septic systems should be pumped out every 3–5 years. 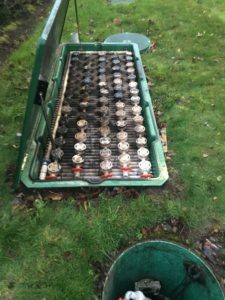 We offer commercial septic tank cleaning to help our Tacoma clients keep their system working efficiently for years to come. Even though septic tanks are designed to be durable, they do need repairs over time. If you see any recurring problems with your septic tank, call us for residential or commercial septic tank cleaning and repair in Tacoma or the nearby areas. We offer a comprehensive residential and commercial septic tank cleaning and repair that address the root cause of the problem. Septic tank problems are no problem for our trained team. Using the latest equipment and technology, our team ensures we never miss a detail when perform a residential or commercial septic tank cleaning & repair job. To know more, or to schedule a residential or commercial septic tank cleaning appointment in Tacoma or the nearby areas, do not hesitate to call VAC-TEC LLC at (253) 777-4887.